NOTE: THE VENUE FOR THIS MEETING HAS BEEN CHANGED FROM THE EOC TO CITY COUNCIL CHAMBERS! TELL YOUR FRIENDS! The City of Costa Mesa will hold a workshop for those interested in its efforts to identify Supportive Housing for Costa Mesa's burgeoning homeless population tomorrow, Thursday, January 16, 2014, from 6-8 p.m. at the Emergency Operations Center (EOC) adjacent to the Police Headquarters at 99 Fair Drive CITY COUNCIL CHAMBERS. You can read the agenda for that meeting HERE. 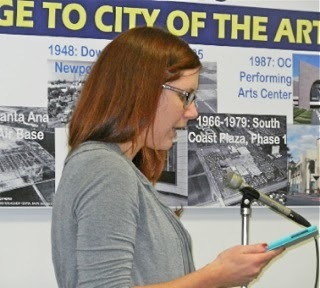 Some will recall the firestorm of concern that was generated when the City announced late last year that the Civic Center Park, across the street from Police Headquarters, had been identified as the probable site for a Supportive Housing facility to aid Costa Mesa homeless. Surrounding neighbors were up in arms - it was one of those "pitchforks and torches" moments. In response to that outcry TWO workshops were scheduled for this week - today and tomorrow - both in City Council Chambers in anticipation of a huge turnout. When the City recanted its commitment to use Civic Center Park - they "took it off the table" - the furor died down, the Wednesday meeting was canceled and the one tomorrow was scheduled for the EOC. Actually, that smaller venue works well if the crowd turns out to be small - 75 or less. 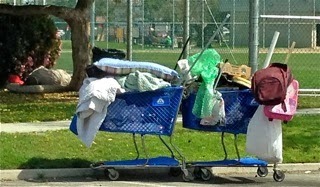 Costa Mesa Homelessness has been in the local media a lot lately. A few days ago Becks Heyhoe, Director of the Churches Consortium, published a moving commentary on the pages of the Daily Pilot, HERE. Then, in his own commentary, HERE, Rick Campo addressed the recent departure from Costa Mesa of the Illumination Foundation, an organization attempting to help homeless folks in our city at one of the so-called "problem motels" that Mayor Jim Righeimer seems so intent to destroy. Apparently, based on published comments by city officials, the mission of the Illumination Foundation didn't blend well with whatever plan the City has for dealing with the homeless. 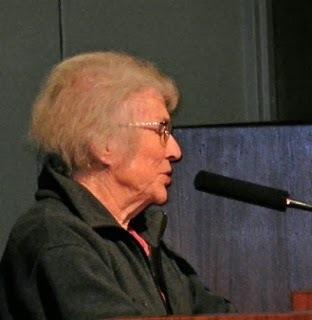 Last week, Jean Forbath, a highly-respected long-time activist, member of the Costa Mesa Housing Coalition and former executive director of Share Our Selves, also published a commentary, HERE, addressing the Excessive Use Of Services Ordinance recently passed as another arrow in the City's quiver to deal with homelessness. So, we'll see what the City and the cadre of local homelessness activists and organizations have in mind as potential resolutions to this issue. See you there. Righeimer Admits He Was Wrong!